From the first blast of guitar in "FOH" by Superchunk, I knew it would be the perfect lead off song for my next new music playlist for Fall 2013. It's an irresistable party song about the trials and tribulations of being a band member playing in the front of the house, when "amps are down" and with lights on stage plus a raucous crowd, they "can't see out." (Well how can a crowd not be going crazy with this kicker of a tune?) 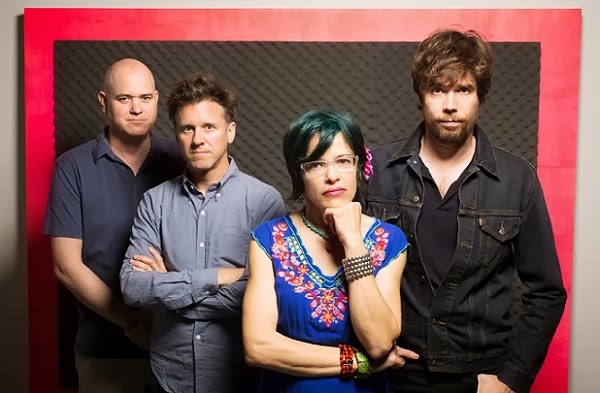 Mac McCaughan's raw vocals continue to lead the charge, as the group shows no signs of slowing down. "FOH" is from the indie rock band's tenth studio album with the winking title, I Hate Music. 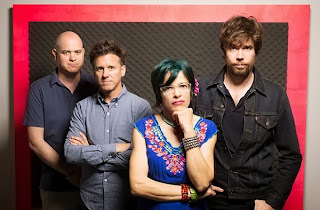 With an American-made attitude since the 1990s, Superchunk practically created the DIY method that included establishing their own record label for them and their friends around the Chapel Hill, NC area -- the very solid Merge Records, now based in nearby Durham. The band is currently on tour to support their new album, but unfortunately bassist Laura Ballance cannot be along for the ride. As she explains on the band website by the list of tour dates, Ballance is experiencing problems with her hearing. It's such an unfortunate consequence of having a successful long term career in rock, totally not fair. Take a listen below and be sure to check out the entire album.